I’m starting something a little different from my typical podcast episodes. Houston has a lot of traffic. Every day I spend 2 -3 hours in the car while driving to my day job. Even if you are driving somewhere that is 10 to 20 miles away it’s going to take you 30 minutes to an hour. 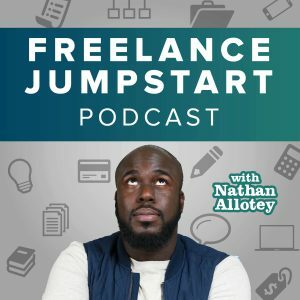 This is how it’s going to go down: Currently, I have a weekly podcast Freelance Jumpstart but going forward I will also to release a Q&A episode each week as well. I will answer the top questions that I hear from creative professionals entrepreneurs and answer these questions during my daily commute. Thus far I have sourced questions from Reddit, Google, Twitter, and people email directly. Going forward it doesn’t matter how the question gets to me I’ll make sure to take the time to answer it or work it into a larger episode. I have created a specific section of my website or these questions to reside. In the future I anticipate there being many questions answer so I have added a custom search box to this page so visitors can search for the answer to their questions. Overall I believe this show will be beneficial and help me help more people. Though I see other people doing Q&A type shows it’s mostly from the comfort of their office, however when you’re on the hustle with a day job and you a side business you have to maximize all the time that you have. The next Traffic Talk episode drops a week from today, and I look forward to bring you all two episodes a week.